An all time favorite book telling story that will make you reach the limit of excitement and get you at the edge of your seat. This movie is phenomenal in many ways. Not only does it portray a strong, intelligent children lead but it also shows how incredible the universe is. Personally, this article was very good in a children’s point of view but could’ve been portrayed better. Imagine that a member of your family is working on a top-secret scientific project. Over time, letters and notes from that person become less and less frequent. Without warning, communication drops off completely. That person just disappears like if he/she was nonexistent. 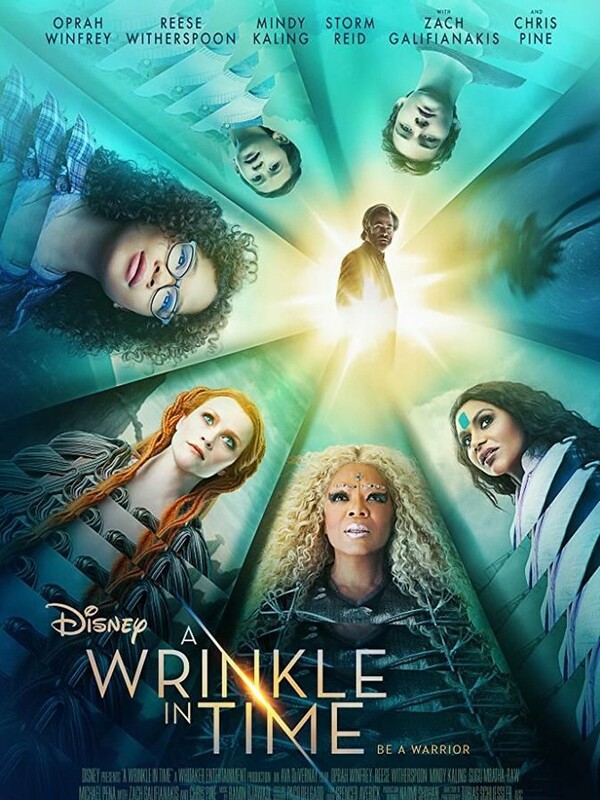 Well this is exactly what happened with the Murray Family in “A Wrinkle In Time.” Meg, is the daughter of the lost scientist who is worried about her father along with her brother Charles Wallace and mother Mrs. Murray. As their father’s disappearance was so sudden, they have no idea where Mr. Murray has been all these years. One word that explains everything is, “Tesseract.” After Mr. Murray uncovered a transportation that potentially could transport him from one planet to another, a darkness arose called “It.” In order to save their father, Meg and Charles Wallace along with Megs classmate Calvin O’Keefe would need to stay true to themselves and each other as they’re guided by the three mysterious astral travelers known as Mrs. Whatsit, Mrs. Who and Mrs. Which. At the end, Meg found herself through the darkness which became light and her and her brother were reunited with their father. My brother, Easton Paul Tath was baby Charles Wallace in this movie. His scene was when Meg saw a vision of her father looking through a window of his wife and baby Charles as he was trying to improve his discovery. Although, my baby brother was seen for a split second, I was very proud of him.